Controversy on some level seems to follow Lewis Hamilton. But in the latest case we can say unequivocally that he was the innocent party. The latest case being that when he was being interviewed as Italian Grand Prix winner on the Monza podium on Sunday there was rather a lot of booing from the assembled tifosi, that is the hordes of Ferrari fans, below. Of course there is a lot that is very good about the tifosi. 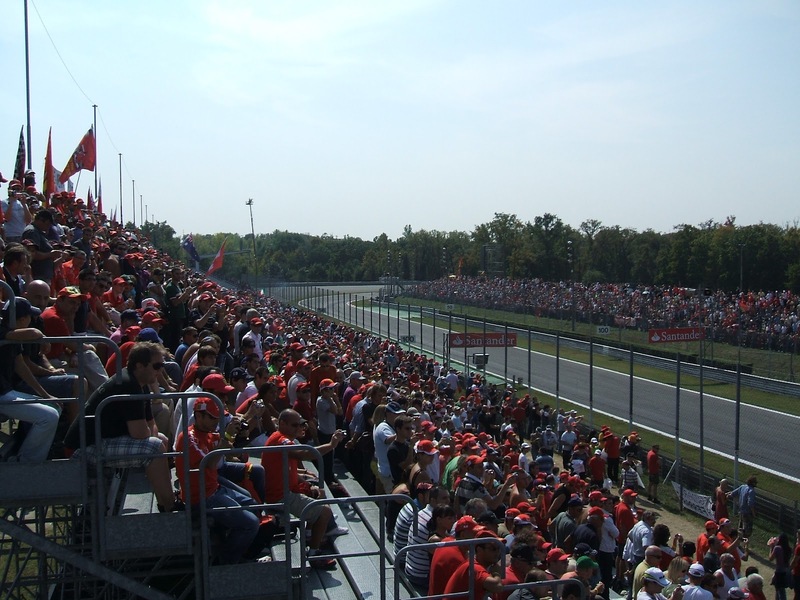 The intensity and passion of Monza crowd, unparalleled elsewhere, is a key part of F1's appeal and we'd never want to lose that. And on plenty of occasions they display considerable honour and sportsmanship, indeed we saw that on Sunday with the reception Jenson Button received after parking with a stricken car (and there are ample other examples from history of similar). 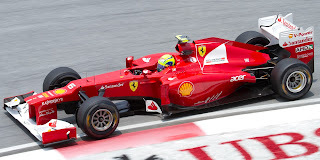 But there is a unpleasant flip side to the tifosi, and we heard that on Sunday. And it's not a new thing: going back some years the Ferraristi have appointed a 'prince of darkness', usually the driver from a rival team who represents the greatest threat to the supremacy of the red cars. For years it was Alain Prost (until he resolved the situation by joining the Scuderia), and then for a long time it was Ayrton Senna. I have to say I've never approved of this side of things, from the tifosi or from anyone else. One of the things that compels me be about this sport is that all F1 drivers, indeed many of those in F1 teams, are much better than the rest of us. And for that reason they are worthy of a lot of respect. And indeed generally I believe that all who take part in sporting contests, including those we might view as 'opponents', should be respected. It's not immediately clear what can be done to tackle such abuse of drivers. Identifying people booing isn't easy and even if it was, given the amount of vendors that sell F1 tickets it's probably next to impossible to stop offenders buying tickets (unless their availability becomes seriously restricted as with football tickets in Britain). Appeals from drivers, teams, organisers, the FIA and others would a good place to start though. After the Monza podium I also read a few knowing comments to the effect of 'this would never happen in Britain'. Not entirely true of course, as anyone who recalls 'Mansell-mania', especially when it manifested itself in the Silverstone fans' treatment of Senna, could tell you. Indeed, as recently as at this year's British Grand Prix Fernando Alonso's name was roundly booed by the mass assembled Silverstone fans when it was mentioned in the BBC's post-race forum. But such talk frames the risk, that such debates can very quickly become adversarial, and descend into claim and counter claim which gets us nowhere. Therefore in tackling the fans' abuse of drivers it needs to start from the premise that none of us are perfect. Hamilton's first victory at Monza. 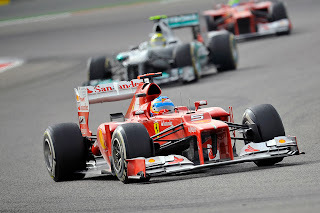 Alonso gifted podium position by teammate Felipe Massa. Team orders being legal doesn't make them right. Look at the joy (not) in the grandstand and you can see the sport Todt is designing for us. Those of you who follow Byron Young, The Mirror's F1 correspondent, on Twitter may recognise these words. They are a couple of his tweets from during and after the Italian Grand Prix on Sunday, showing his objections to Felipe Massa, shall we say, not fighting hard when team mate Alonso moved past him in the Monza race. My reaction to Young's sentiments can be summed up by 'oh, please'. In an ideal world of course there would not be team orders, but this is not an ideal world, and F1 certainly isn't ideal. Team orders are a fundamental part of the sport, always have been, and as we've seen any attempts to outlaw them are unenforceable and only eventually serve to make the sport look silly. And if there ever was a non-contentious application of team orders it was on Sunday: one driver in title contention, his team mate not, the former is the guy behind (thanks to a technical problem in qualifying), but is quicker, and probably going to pass anyway (after all, he's passed plenty of guys that day already). The drivers fighting the place will at best delay the two and at worst end up with both in the boonies. And such tactics and orders are unavoidable in a pursuit wherein individuals from the same team compete against each other. If you want an analogy then look to cycling, wherein it is absolutely accepted that the vast majority of riders will lay down their own ambitions almost entirely in assistance of their assigned team leader. In the Tour de France there are teams of of nine riders and in most cases eight of them will spend most days seeking to assist their lead rider, such as by pacing them, or even fetching and carrying food and water for them. And no one bats an eyelid. Perhaps it's time that all in and around F1 adopted a similar attitude. 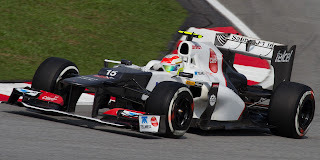 Monza's race was also witness to the latest chapter of the curious tale of Sergio Perez and the Sauber C31. Curious in that, in a sport wherein most things can be explained one way or another, Perez on occasion achieves race day tyre life and therefore speed that defy belief. And he did it again on Sunday, having qualified in an unremarkable 12th place and starting on hard tyres he kept pace with the leaders in the first stint, then when he switched to mediums at mid-distance he flew, routinely lapping a second or more quicker than those ahead, which in the end was rewarded with second place. Indeed, given a handful of laps more he may well have won the thing. And as far as I'm aware no one has much of an explanation of why this happens. Whatever it is, it seems to only happen for Perez and not his team mate Kamui Kobayashi, so the evidence is there's something about Perez's style that delivers it rather than it simply being the characteristics of the C31. Also, others on the same strategy almost never have the same joy (on Sunday it was Nico Hulkenberg, admittedly starting further back but never getting close to Perez's speed) and of course there's nothing to stop any of those qualifying outside the top ten to try the same thing as Perez did at Monza. And last Sunday most of them didn't, presumably on the grounds that they'd never make it work. But also it's worth making the point that it's also not like this sort of thing happens every time. Perez has had three excellent runs this year (Malaysia, Montreal and now Monza), one good one (Hockenheim), a couple more in which he was unlucky to start at the back (Melbourne and Monaco) and two more where first lap contact put him to the back (Spain) or wiped him out altogether (Spa). But in the remaining five he's been pretty anonymous. Some reckon that Perez is inconsistent, and there were also murmurings earlier in the year that the Sauber team suspects that he doesn't always gets the best out of his machine (which if true may also go some way to explaining why, for now, Ferrari's interest in promoting him to the big team remains cool). 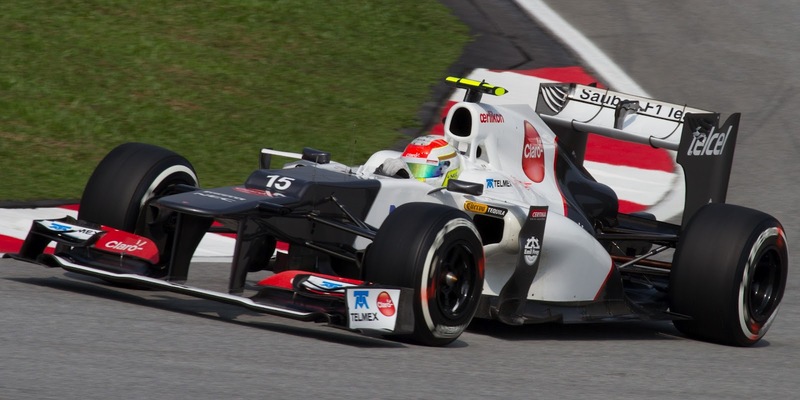 But with or without this it seems for whatever reason that various things have to come together for the magical performance that we saw in Monza and Montreal to be unlocked, and possibly it confuses Sauber as much as anyone. Whatever the case, I'd wager that there's a lot of midnight oil being burned in all F1 teams trying to get their heads around how to achieve it. I continue to pat myself on back in regard to my prediction, made back in the aftermath of the Barcelona race in May, on whom I thought would be the four drivers' championship contenders this year. My Alonso-Hamilton-Vettel-Raikkonen selection continues to hold up well. Indeed, it was made to look rosier by the Monza race: things changed utterly within the 80 or so minutes of racing in the royal park, with no-scores for Sebastian Vettel, Mark Webber and Jenson Button dealing major hits to their championship hopes. In Jenson's case the strike is probably terminal. 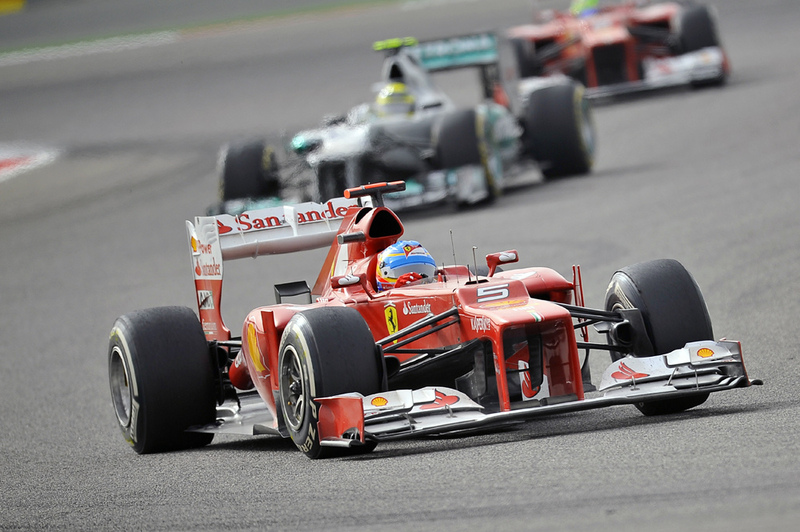 Fernando Alonso: got a key advantage? It all shows us a couple of things: one is that the championship picture can shift fundamentally within a single race, it has shifted twice in the last two Sundays and it'll no doubt shift a few times more in the seven remaining racing Sundays of the season. But it also shows that most of those chasing Alonso in the table can't afford many, or even any, slices of bad luck to come their way in the remaining rounds. If they do come along they could at a stroke effectively end the chances of any of them. But to some extent Alonso, with his 37 point lead, is uniquely insulated from it as he can probably afford one or even more than one random act of chance to go against him without it being terminal (and he's said as much himself). In effect Alonso's pursuers have to roll the dice seven times and hope they never get snake eyes. And, given F1's potential for cruel fate, that's a big advantage to Alonso. Philosopher George Santayana once said: 'Those who cannot remember the past are condemned to repeat it'. Will these words soon be hanging very heavy to the McLaren team vis-à-vis Lewis Hamilton's contract for 2013? I read James Allen's excellent book on Michael Schumacher 'The Edge of Greatness' recently (I recommend the book heartily to anyone with an interest in the great man or indeed in contemporary F1, it's fascinating and insightful reading). At one point the book swings a lamp over the pivotal team switch of Schumi's F1 career, when he left Benetton to join Ferrari for the start of the 1996 season. Schumi had in effect decided to leave Benetton following the team's sustained controversies of the 1994 summer, and the pace-setter of the time - Williams - was priced out of the race. 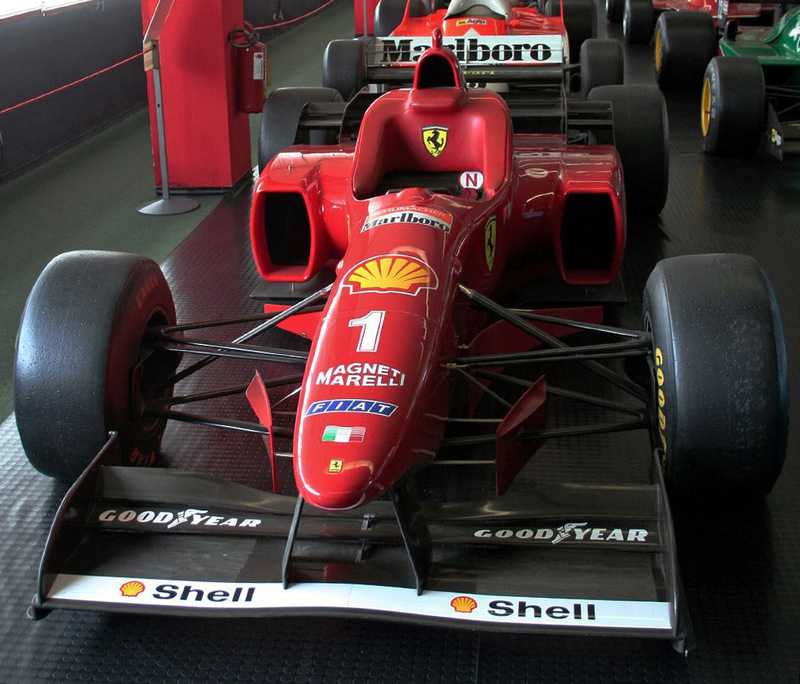 So that left two eligible suitors seeking to woo Schumi: Ferrari and McLaren. As we know, he chose Ferrari, McLaren lost the driver of the age forever and the rest is history. There were various factors in his decision, but one of the sweeteners (particularly to Schumi's manager Willi Weber) was that while McLaren offered the higher basic salary, Ferrari offered much more freedom for Schumi to enrich himself via the development of personal sponsors over and above his obligations to the team's backers. It served to effectively swamp the McLaren financial offer. But it's one heck of a what-might-have-been: how might F1 history had varied if he'd gone the other way? Remember, not only would McLaren have had Schumi's services, Ferrari wouldn't have had them. And, what do you know, it seems that history is repeating itself now. It's being reported that one of the significant plus-points for Lewis Hamilton's Mercedes offer compared with that on the table from McLaren is that Merc is offering Lewis much more freedom for Lewis and his management to develop personal sponsorship. No doubt if we were to talk to Martin Whitmarsh he would give perfectly coherent reasons as to why McLaren's way is to restrict its drivers' own sponsorship development. But if it manifests itself in allowing exceptional drivers (who'll also likely have considerable brand potential) to slip through its fingers then perhaps the team should re-assess. If the team's not careful, the guy at Decca Records who turned down signing the Beatles will start to tell McLaren jokes. Interesting. With the recent success of Team Sky, more British fans and journalists have suddenly latched on to cycling, who perhaps didn't understand the team structures. You get people wondering why Froome did not attempt to beat Wiggins even though he was only behind by a couple of minutes, for example. I don't know if F1 suffers from this, in a way I can understand fans being unhappy as if they are new to the sport they may not understand how it works. It seems many journalists don't understand either, or they are just letting their dislike of Ferrari affect their judgement. PS Schumi in an Adrian Newey car? Frightening.